Ethan Wright is just like any other high school kid that is one day lucky enough to meet the girl of his dreams. Throughout the course of high school the young couple learn to cope with incredibly difficult odds to discover all that matters.’All That Matters’ is a novella about love and life and all that the heart can endure. With memorable characters and a deep story you will find it difficult to put this book down. FIVE STARS! 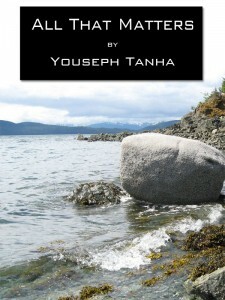 “This is an excellent short story and a good read! Please feel free to download and read the first three chapters of ‘All That Matters’ for free. It you enjoy it and would like to continue reading I invite you to check out any of the online retailers below where you can buy the entire book.